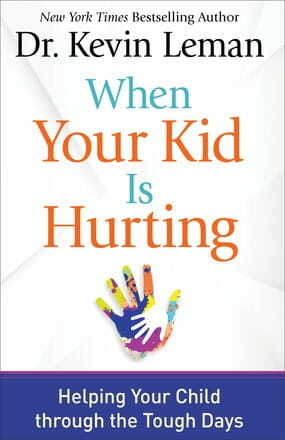 The title of Dr. Kevin Leman’s newest book, When Your Kid is Hurting: Helping Your Child through the Tough Days, admits right away that hurt in childhood is a question of when, not if. Of course, pain in life is nothing new, but the book confirms what many parents may already suspect: the world that kids experience today is vastly different from the one their parents grew up in. This realization may trigger fear in parents. How are people supposed to know how to help their kids navigate unfamiliar situations in such a fast-paced world? Your teen withdraws and won’t talk. A mean comment about your child pops up on social media. You find out the hard way your teen is sexually active. Your oldest says she hates you and wants to live with her father. These tough situations can seem daunting to parents who desperately want to help their child, but don’t know how. 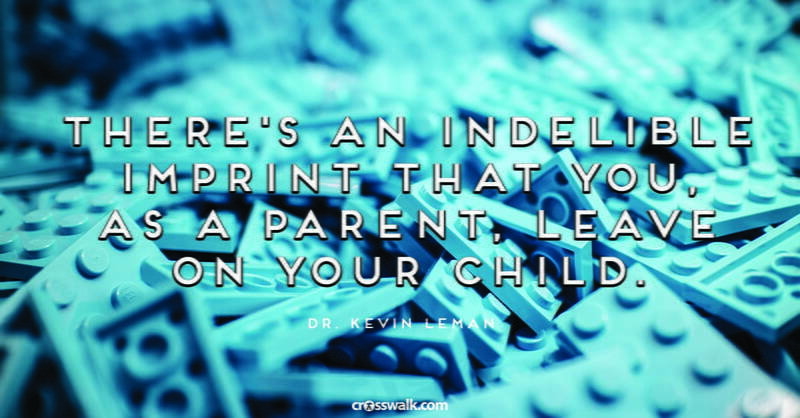 In When Your Kid is Hurting, Dr. Leman walks parents through both helpful and harmful responses to the uncomfortable and unfamiliar situations that children struggle with today. This solution might sound obvious to many parents – maybe even frustrating. Because parents who want to help their hurting children already might try asking questions to get a conversation going, only to receive one-word (or side-eye) responses. 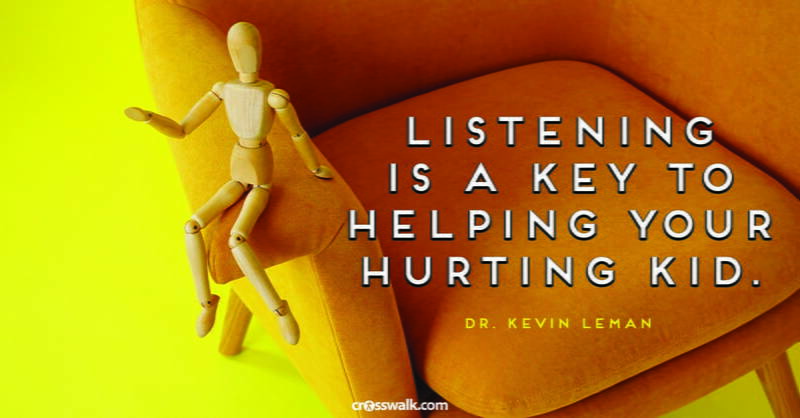 In the midst of relational frustration, Dr. Leman gives advice on how engaging humbly and honestly with hurting children can help create an environment where it’s easier for them to open up and receive the help they need. Instead, Dr. Leman said that asking the child’s opinion or feelings on the issue is one way to engage without intimidating them. And if parents have advice to give, offer it gently. He said before making a suggestion that would help your hurting child, start with, “I might be way out of left field” or “I may not know what I’m talking about,” then share your idea. “It just makes it go down easier,” he said. When parents notice their child going through a painful season or situation, Dr. Leman said two common reactions occur. An authoritative parent may attempt to control the issue by telling the child what he or she should do to fix it. Another, permissive parent may step in to fix the issue themselves for the child. He suggested another solution that sounds simple, but certainly isn’t easy: relationship. This type of approach respected the girl’s feelings and empowered her to take initiative to not only be proactive in solving her own problem, but also to help someone else who might be feeling alone too. Training children to solve their own problems, in age-appropriate ways, “fights against all our instincts as parents because we love to tell kids what to do,” he said. “We don't train up kids, quite frankly. But the admonition from God is to ‘train up a child’” (Proverbs 22:6). When Your Kid is Hurting releases September 4, 2018 and is available for pre-order here. 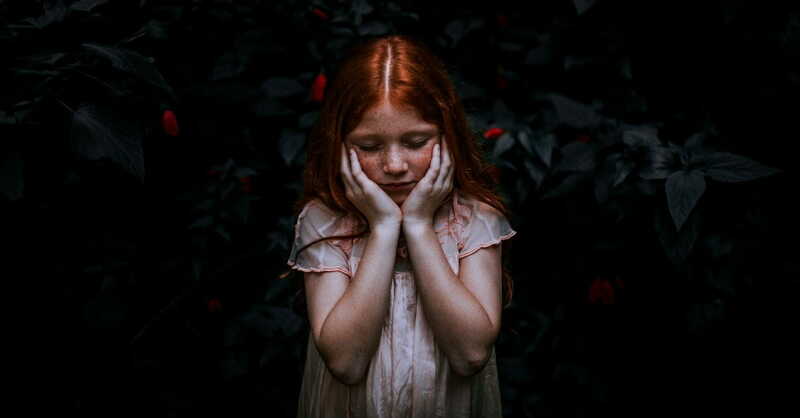 Those who read the book can expect to learn about three basic fears that children have as well as three empowering “antidotes” parents and guardians can offer. The book walks readers through healthy responses to issues in the world that affect children like school shootings and discrimination. It also helps parents with a child’s closer-to-home issues like abuse by a family member, depression, and dating. And the back half of the book is an “Ask Dr. Leman” section full of Q&A that offers practical advice in specific parenting situations. 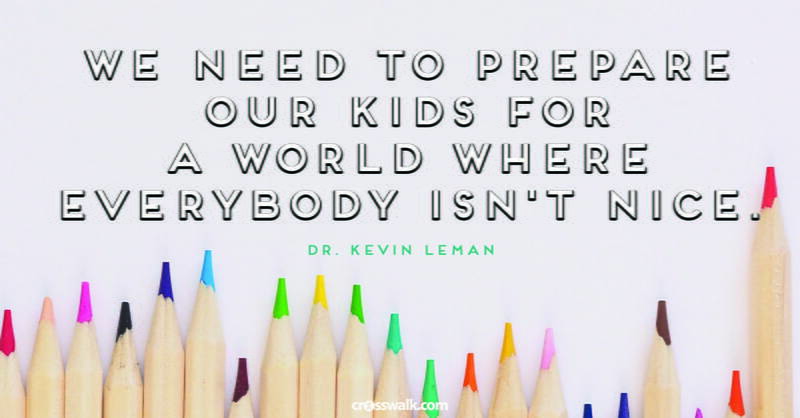 When Your Kid is Hurting wasn’t an easy book for Dr. Leman to write, and it won’t be an easy book for parents to read. But it can empower parents with the practical tools they need for when their kid is hurting.